Rock art is found throughout the Sahara, principally in the desert mountain and hill ranges, where stone ‘canvas’ is abundant: including the highlands of Adrar in Mauritania and Adrar des Ifoghas in Mali, the Atlas Mountains of Morocco and Algeria, the Tassili n’Ajjer and Ahaggar Mountains in Algeria, the mountainous areas of Tadrart Acacus and Messak in Libya, etc, as well as the length of the Nile Valley. Explorations in the early twentieth century by celebrated travellers, ethnographers and archaeologists brought the rock art of Sahara, and northern Africa in general, to the awareness of a European public. More than 300 rock art sites have been documented in Morocco, mainly located in two areas: the High Atlas Mountains, and the Sahara desert region to the south and east. They comprise mainly engravings, which could be up to 5,000 years old, and include domestic and wild animals, warriors, weapons and scenes of battles and hunting. Antelope and cattle are the most represented animals in Moroccan rock art, although elephants and rhinoceros are common. 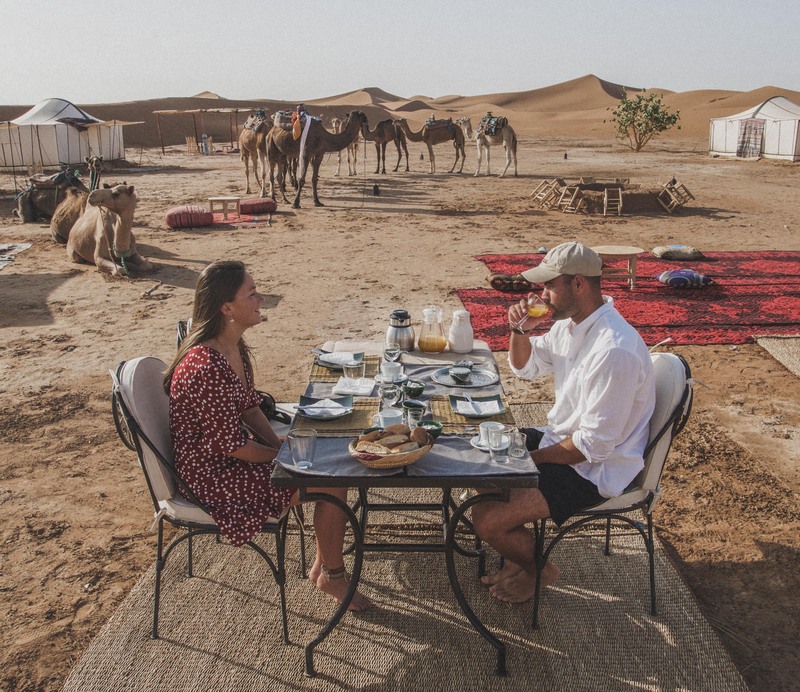 This tour offers a real introduction to both the Atlas mountains and Sahara desert; camping in the remote desert, crossing both of Morocco’s high mountain passes, driving through the Anti-Atlas and spending a night in the mountain foothills. 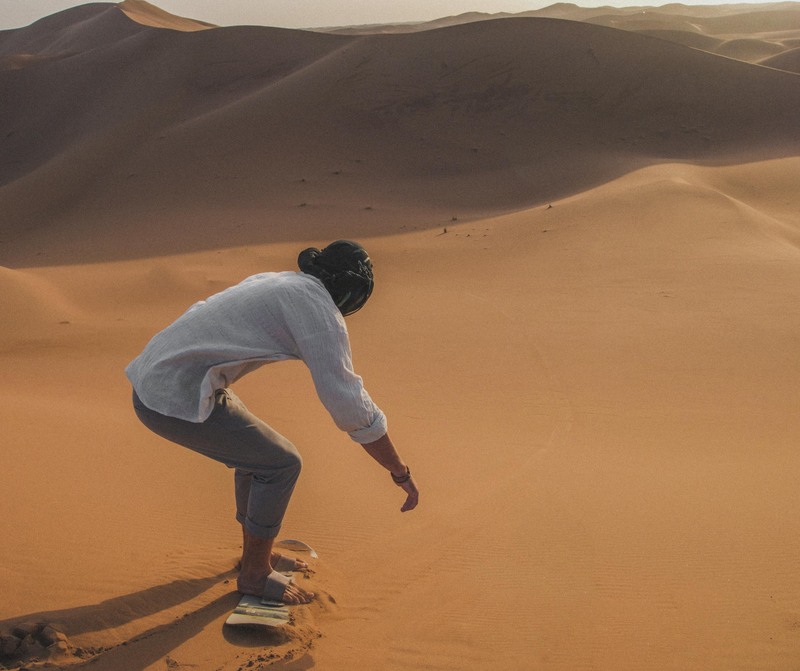 A condensed version of our 7 Days Desert Hike & Tour, the 5 days desert tours Morocco follow the same circular route overall but with one night in the desert at the Berber camp. Cross both the Tizi n Tichka pass and the more adventurous Tizi n Test pass. 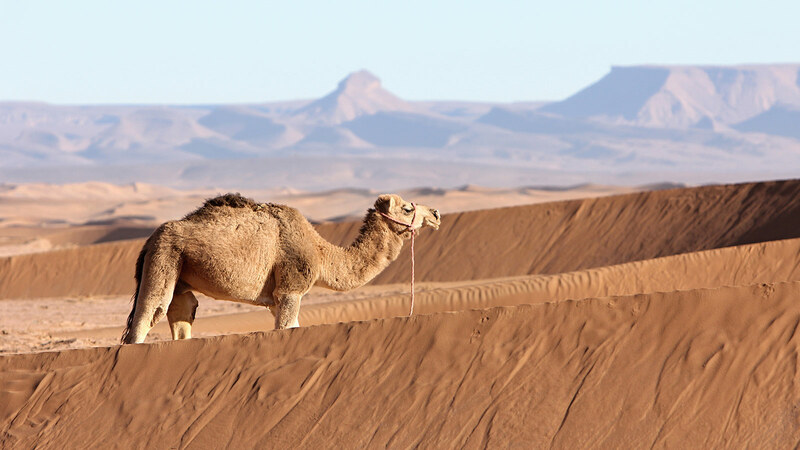 We do still include time for a half-day camel trek / hike in the desert on the third morning, before the 3 hours off-road journey out of the desert. Drive from Marrakech towards the UNESCO Site of Ait Ben Haddou. 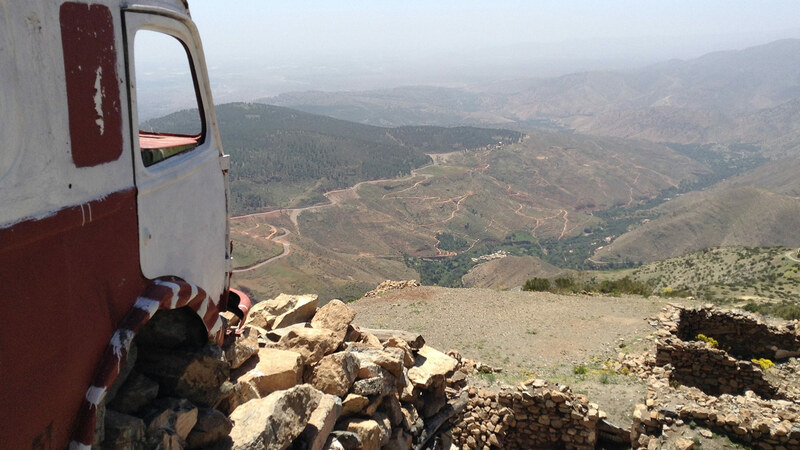 Gaining altitude after leaving the plain of Marrakech, eventually traverse the High Atlas Mountains via the Tichka Pass (at 2260m), offering some exhilarating driving via lush valleys and traditional pise villages. After the pass, take the route to Telouet (visit the Kasbah Glaoua there) and then follow the course of the beautiful Ounila Valley, in the foothills, to reach Ait Ben Haddou. Ait Ben Haddou is essentially a living museum, comprising numerous ksar (series of earth dwellings) and has been used as the backdrop in many international films. You will overnight close to Ait Ben Haddou in a Berber village, in a restored kasbah guest-house. We propose Kasbah Ellouze. 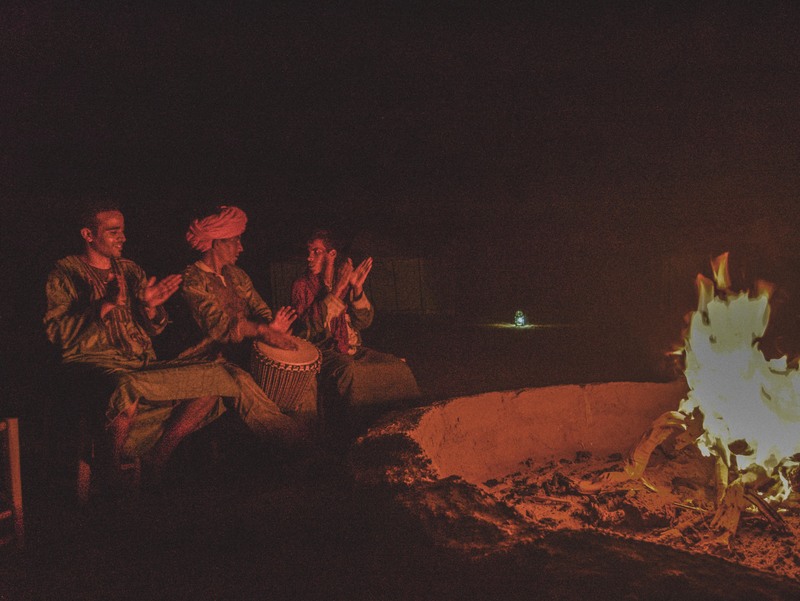 After breakfast, explore the dunes by foot and then hike or camel-trek to the north, to reach remote terrain and scrub. Take a simple lunch under the shade of trees. 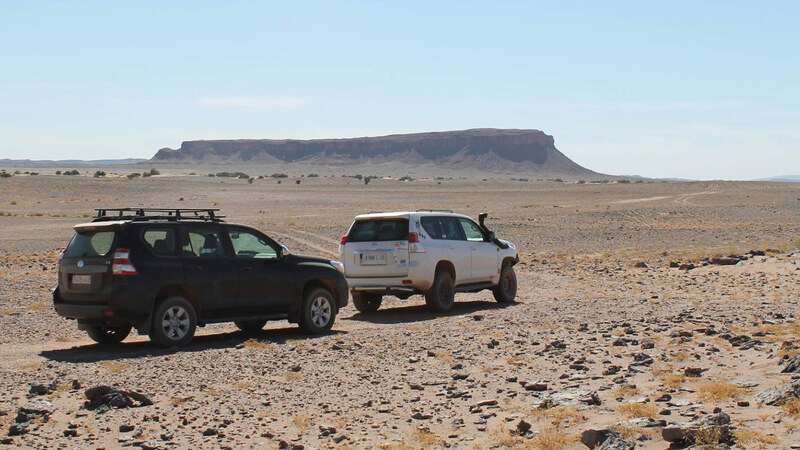 Your driver will collect you to take you off-road across the desert for 90km to the town of Foum Zguid, via arguably some of the finest remote scenery in Morocco (including the vast dried salt flats, at Lake Iriqui, the imposing mountain ridges of the Jebel Bani, and acacia tree groves). You will also cross vast fossil beds, stopping to make a fossil hunt. Spend the night at Foum Zguid at Bab Rimal guest house. 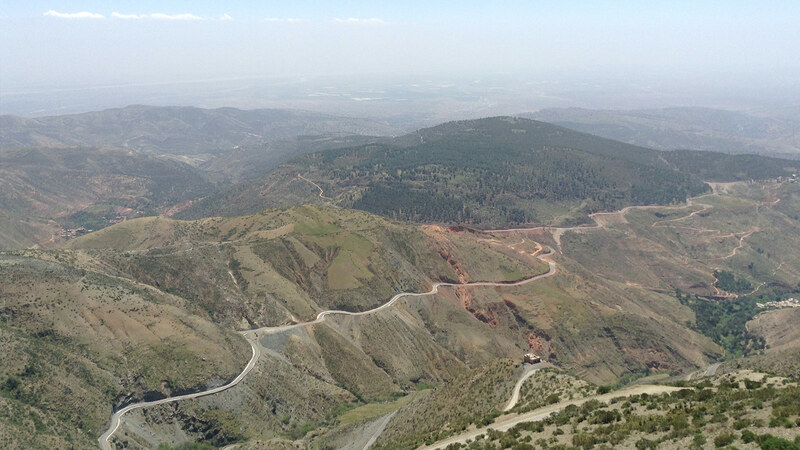 From Taroudant today return to Marrakech, via the adventurous route across the High Atlas mountains, crossing at approx. 2100m (at the Tizi n Test pass) through some breath-taking mountain scenery. The road is single-track in places and steep on the ascent. Descend via the villages of Ijoukak and Ouirgane, and alpine peaks, eventually reaching the Marrakech plain.